I once considered documentary to be a fallback for filmmakers of color who were shut out of the fiction universe. I was wrong. As it turns out, we may be more under-represented in nonfiction filmmaking. Sundance estimates the proportion of documentary directors of color screening at the festival to be around 15 percent. The Directors Guild of America estimates 82 percent of its narrative members are white males; it doesn't even bother to calculate documentarians. True, the DGA and Sundance occupy the stratosphere of documentary filmmaking. And like the Academy of Motion Picture Arts and Sciences, the US Senate, Fortune 500 CEOs, and any member of the overclass, these institutions tend to be largely white and affluent. My guess is that a greater proportion of people of color are in the documentary rank and file. But that cohort, like the American middle class, is being squeezed out. I bring up this context of the United States, in this era of oligarchy, Trumpism and modern-day lynching, because the problem is not only one of representation and opportunity. This essay focuses on race, but the larger picture is, as Peter Kinoy pointed out during Full Frame's #DocsSoWhite panel in April, the historic moment that we live in. The rich are richer, the poor are poorer and everyone in between is losing ground. The civil rights gains of the last century are threatened by an elemental racial animus that has never truly been resolved. While the marker of race exacerbates income and social inequality, the benefits of whiteness only go so far in an age of shrinking mobility. Across the racial spectrum, you probably notice that you're working harder for less. If you're a filmmaker, you've noticed that the funding and festival game seems more like a stacked lottery than a competition, and things simply don't seem fair. We've known about this trajectory for a long time, intellectually at least—this crisis of late stage capitalism. But as a field, we're now treading the undertow of economic inequality. A big part of this story has been the retrenchment of public investment and social programs, alongside the privatization of public institutions. Documentary is affected by the decline of grant dollars from funders like the National Endowment for the Arts. It means that film programs at public universities, which should be sanctuaries for diversity, increasingly play to the interests of private donors rather than the public good. It means that social-issue media production and distribution are increasingly dictated by the logic of the market, subject to the absurdities of quantitative measurement of social impact, and shaped by the tastes of a self-replicating elite who are the gatekeepers in financing, exhibition and distribution. More than any other time in my 30-year career as a filmmaker, the documentary world has become intensely stratified. There is a top tier, dominated by wealthy media companies, individuals and foundations, major film festivals and elite film schools. The unspoken secret, which is readily apparent in any credit roll, is the financial and social power—and often celebrity—of the players and backers of films that populate this stratum. And the whiteness. It's like a cocktail party that most of us didn't even know about. Ironically, many of these high-profile films tackle themes of racism, poverty and inequality. Many are perfectly good films. But the critique of the global poverty industry—the ostensibly charitable initiatives that often undercut true self-determination—holds true for the culture industry. Who speaks for us? Where is our voice? How do we move from subject to creator? This essay is a personal reflection on diversity and independent filmmaking, what lessons we can learn from the past, and the realities we live with today as filmmakers of color. It is a complicated picture that I'm nowhere close to figuring out. For all our challenges, there are opportunities. New technologies have made filmmaking more accessible, but how can a filmmaker sustain a career and pay the rent? Some filmmakers of color have reached or even broken through the glass ceiling, but how do we move from individual to collective gains? How do we push for real programs and investment in diversity during a time of retrenchment and racial polarization? When I graduated from college in 1980 with hopes of becoming a filmmaker, the doors were shut. I contacted every movie studio and television network I could think of, hoping for at least a non-paid internship. I never got a single call back. As my white male Harvard classmates found paid jobs in Hollywood, sometimes smack inside the writers' room, I was barely able to scare up my first job as the secretary to "Mr. Bill." That's right, Mr. Bill, the diminutive SNL play-doh uber-victim much maligned by Sluggo. To add insult to injury, the office was located in Trump Tower. Downtown in Chinatown, though, change was happening. 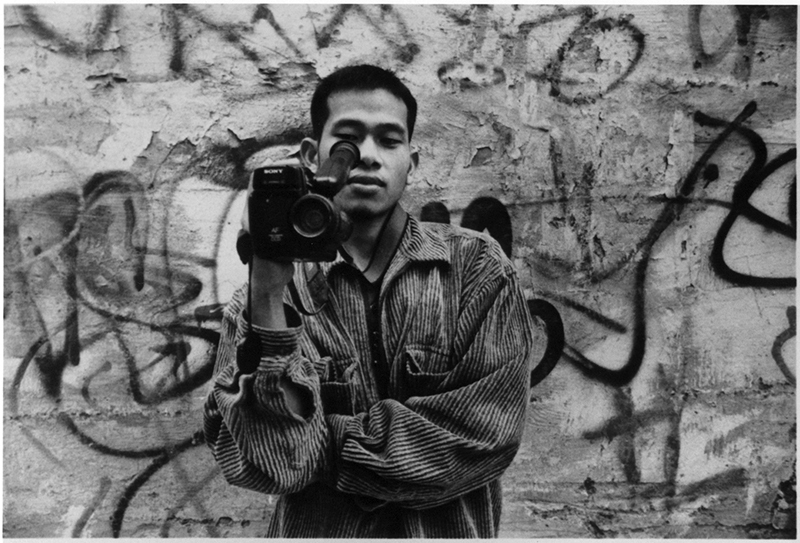 Young Asian Americans were creating their own films, programming their own festivals and building an alternative cinema. It was happening with communities of color all around the city, and all around the world: from the Guadalupe Cultural Arts Center in San Antonio, to CIMCA in La Paz and the Black Audio Video Collective in London. It was a movement that had roots in the race-conscious political and cultural activism of the 1960s and '70s. 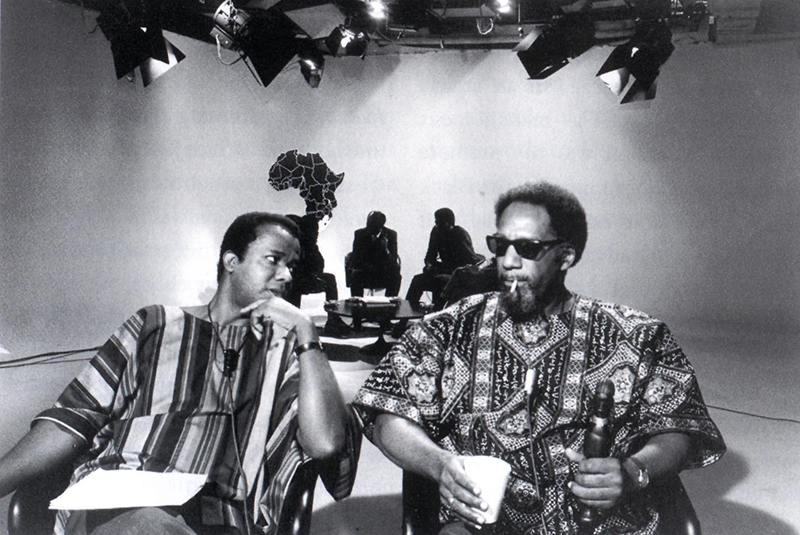 There were seminal public television shows such as Black Journal, which debuted on WNET in 1968. African Americans on staff, including St. Claire Bourne and Madeline Anderson, went on strike to demand a black executive producer, and William Greaves took the lead. That year, Henry Hampton started Blackside, the legendary company behind Eyes on the Prize that would make diversity an integral part of production practice. Not only were people of color given opportunities above and below the line, black-white producing teams were configured to tell stories about America's racial divide. Meanwhile on the West Coast, Loni Ding produced the 1970s children's television series Beansprouts, working in collaboration with Chinese-American teachers and community groups. Responding to political pressure, local network affiliates in Los Angeles aired Chicano-produced programs like Impacto and Reflecciones. At UCLA, minority students (I use that term because they were, indeed, a tiny minority) launched the LA Rebellion movement of Black cinema, and the affirmative action program in the UCLA film school, EthnoCommunications. Veterans of this pioneering era changed the face of the American documentary: Orlando Bagwell, Lillian Benson, Charles Burnett, Michael Chin, Moctezuma Esparza, Sylvia Morales, Robert Nakamura, Sandra Osawa, Sam Pollard, Jesus Treviño. Film organizations that are active to this day were born during this upsurge: Los Angeles' Visual Communications, Philadelphia's Scribe Video Center, New York's Third World Newsreel, the public media Minority Consortia. These filmmakers trained the next generation through organizations like New York's Firelight Media, San Francisco's Vietnamese Youth Development Center, Cine Accion and public media initiatives such as the Corporation for Public Broadcaster's Producers Academy and workshops sponsored by the National Association of Latino Independent Producers. I'm naming these filmmakers and institutions—and there are many, many more—as a kind of invocation. Each name is weighted with its own history, meaning and stories told. The fact that non-white lives have been pictured over the last half century is due to the work of the Henry Hamptons and Lourdes Portillos. Their journeys started at different places, but they were fueled by a shared ethos of self-determination and representation. They were supported by key funders, festivals and institutions that incorporated racial diversity, on- and off-screen, into their program missions. Then and now, there is sharp disagreement over the notion of racial or ethnic criteria for who gets to make documentaries about people of color. During the 1980s, I was involved in numerous pitched battles against outsiders filming in Asian-American communities. I know it was hard to swallow for progressive white filmmakers who were conscious of representing race on screen. But just as developing nations restrict the influx of Western movies in order to build their own national cinemas, we were concerned not only with documenting culture, but with building it. Those conflicts have decreased with the emergence of a robust Asian American independent cinema, and the changing way we look at multiple, intersecting identities. I've struggled with the complexities of outsider/insider in my own work, making films about non-Asian subjects or even within Asian American communities. Southeast Asians and Pacific Islanders have long criticized the dominance of Chinese- and Japanese-American filmmakers telling Pacific Islander stories (or even the legitimacy of that Asian Pacific Islander categorization). I once filmed a Hmong refugee garment worker in Duluth, Minnesota, who had lost five children during the war. I was, in fact, making a film about Asian American identity. But here it struck me: Is there really such a thing as Asian American identity? What could I, a third-generation Japanese American, truly know of Mrs. Yang's experience? Yet race still matters, and no more so than in this current era as racist violence is normalized—when a US Presidential candidate of a major political party can call for a religious test for immigration and reconsider the mass incarceration of an ethnic group. Over the past decades, the racial transformation of the US has moved the dial in regard to on- and off- screen diversity. But has there been a net gain? The emergence of #DocsSoWhite reflects the unsettling realization that diversity in documentary is not keeping pace with rapid demographic change. And we may be losing ground. The economics of filmmaking, similar to the art industry, means there is an acute disparity between the privileged and everyone else. It starts at the very beginning, from the college student who can take an unpaid internship, to the young filmmaker living in a parent-financed condo, and the mid-career filmmaker supported by inheritances, partner incomes, and family and school social networks. I was fortunate enough to get in the business during the heyday of the "multi-cultural" moment of the 1980s, supported by the institutions I described earlier. I benefited from funders committed to diversity and film institutions that felt obligated to support at least a token few of us. It was a time when an Academy Award nomination didn't ride on a costly campaign, and a young person could actually afford to live in production capitals like Manhattan, Los Angeles and San Francisco. My advice to students and young filmmakers used to be this: "Follow your passion. If you have a story to tell, if you have a vision, you don't have any other choice than to make films." I haven't given that advice in years. Today students graduate with huge debt, and many first-generation students have to help support their families. I've mentored several young, supremely talented filmmakers whose careers were stalled because they were undocumented immigrants. Two had to return to their home countries to work. This is nothing new, of course. I've always known promising documentary filmmakers who simply had to leave the business because it was so unsustainable. But factor into that calculus the deepening inequality of our time. As scholars like George Lipsitz—author of The Possessive Investment of Whiteness—argues, privilege is cumulative, and racial disparities grow over time. I call it the "Antiques Road Show Theory of Wealth." Have you noticed the homogeneity of all those people with hidden gems bought on the trip to Paris in the 1950s, or discovered on grandma's mantle? In a vocation as unstable as filmmaking, social and economic privilege grows geometrically, while the lack of it means that you move forward one small step at a time. It's not that there is any dearth of opportunities that attempt to level the playing field. There are workshops, pitch opportunities, webinars. There are festivals, cocktail parties, screenings. But the time gap is like the wealth gap in home ownership. Time is your down payment. Time is money, and social, economic and gender privilege buys you time to devote to creative pursuits. Each moment devoted to working for the cost of living—day jobs and freelance jobs to cover rent, food, health insurance, childcare—detracts from creative time. Each moment devoted to being your own fundraiser, assistant editor, bookkeeper, webmaster, publicist, schlepper—detracts from creative time. Add to that the cost of racial disparity, and the invisible labor that people of color in any profession will tell you about: the obligation to mentor young filmmakers of color, call out institutions about diversity, fill in the blanks at conferences, be that representative of color and then do double duty in our communities. Income and racial inequality also translates into disparities in social capital. And social capital is a powerful determinant in a relationship business like filmmaking. It facilitates access to donors, programmers, mentors—and, as filmmaker Leo Chiang has pointed out, access to certain subjects and stories. It helps if you're born with it, and if you're not, then your race can be a high barrier to attaining it. We often share stories among ourselves of being the only, or one of the few, people of color at a film gathering. When a friend, who has a well-established career, confessed to feeling invisible in white-dominated documentary circles. I was surprised by the familiarity of her story. At the same time, race can't be essentialized. Class looms large, and although income inequality is exacerbated by racism, the reality is, we all embody multiple identities. I'm an Asian woman, but I also have the privilege of being born to a middle-class family and I have US citizenship and tenure. In this global economy and culture, the borders of color, money and power are increasingly fluid. During the 1980s, my friend Xie Yang, an NYU film school grad and son of Jin Xie, the godfather of Chinese cinema, had to clean houses to make a living while he launched his career as an immigrant filmmaker in the US. Today, a scion of China's film industry would be living large, and could easily infiltrate the upper reaches of the Western cultural elite. Democratization also means access to the means of production across class and regional lines. Earlier this year, a screening tour took me to both the largely Mexican-American Rio Grande Valley in Texas, and white rural Wisconsin. In both places, I met young filmmakers who were bursting with ideas and stories. With changing demographics, these places outside the coastal, big-city production hubs also have growing populations of color. During the 1970s and '80s, a robust media arts center movement emerged to address regional inequities. Over the past two decades, these organizations have confronted deregulation and declining public dollars. Without local resources, the pressure is on young filmmakers to leave home to pursue their careers—if they can afford it. New digital technologies and the Internet do make it possible to work remotely, and circumvent the gatekeepers of documentary production and distribution. But there's nothing like hands-on learning, or showing a cut to your peers. Moreover, there's still the problem of monetizing documentary work online. Marketing a long-form documentary is a lot different from webisodes and tutorials, and streaming services have their own gatekeepers. If the real barriers to diversity are structural, then solutions are linked to larger forces of change. 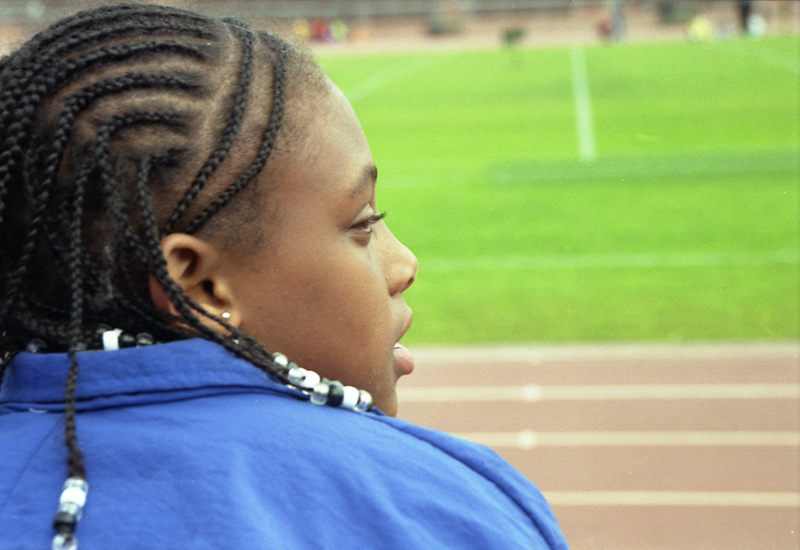 Filmmakers of color have never stopped insisting: race matters. That idea may seem like a no-brainer, but the broader context is the mythology of a post-racial America combined with resentment towards identity politics. The result has been a noxious backlash towards race-based remedies to inequality. In the more liberal-minded documentary field, it often takes the form of benign neglect—that is, a fascination with people of color as subjects, but disconnected from the fundamental tenets of power and self-definition. There are indie mainstream organizations that consciously promote diversity, even when it isn't fashionable. The heart of diversity work has been taken up by organizations of color, like the Black Documentary Collective, Hawai'i's Ōiwi Television and the public media Minority Consortia. Combined, these organizations have made possible a breathtaking number of documentaries by filmmakers of color. The fact that these institutions have survived persistent underfunding is a testament to their vital role in the field and their communities. Forging a truly diverse documentary field takes work on all levels, from the big picture to the grassroots. Some of the core principles of pushing for diversity—leadership, funding, programming—haven't changed since the race-based activism of the '60s and '70s. At the same time, everything has changed. New technologies have opened doors, but have also amplified digital divides. And there's the global market, and how documentarians of color interface with transnational production. The contour of the racial divide today is complicated by intersections of class, gender, sexuality and citizenship. The time calls for alliances and a discussion of racial diversity that is strategic and inclusive. The drive for racial justice in documentary demands consciousness—of inequality and privilege, of others and of our own. Renee Tajima-Pena is IDA's Filmmaker-in-Residence. 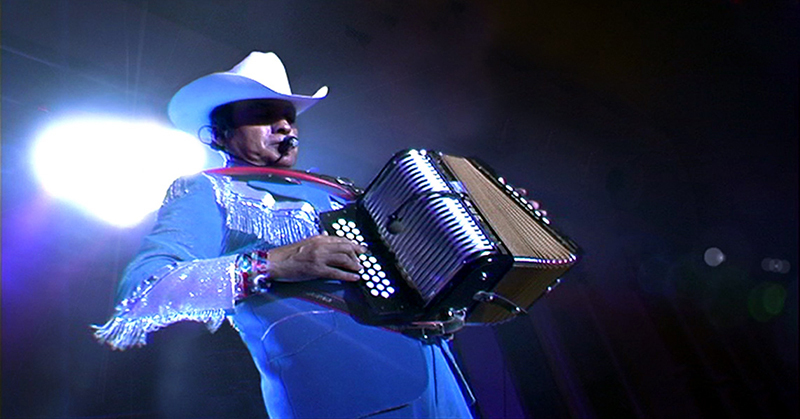 Her most recent film, No Más Bebés, aired on PBS' Independent Lens in February.